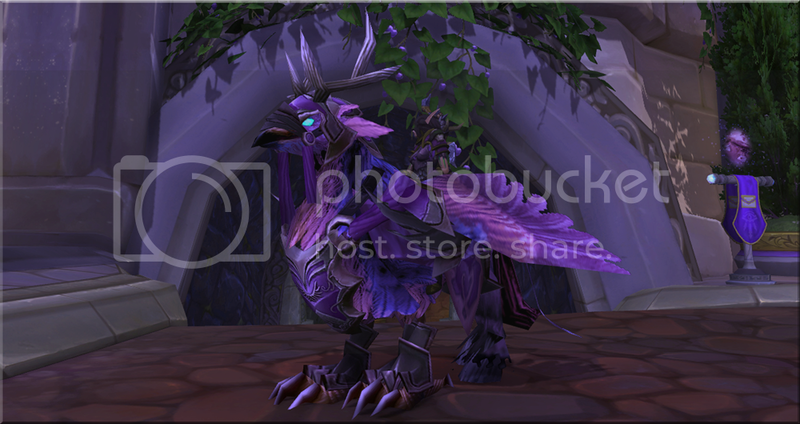 PCGamesn has an article describing what you have to do to get your hands on the hippogryph model that existed since 2007 - but was added only in Legion. Give it a read! TLDR: There are 5 crystals in Azsuna that you need to click on within 8 hours without dying. The challenge, however, is getting the crystals to spawn. Yep, I was with the others in discord all night and was there when the crystals were first found. Kind of a shame it's out now and the people that worked so hard for days to actually do the work & find them have so much competition. It's voidtalon 2.0 only with 5 crystals instead of 1 portal, it seems. And we don't even know if all spawns have been found, as I type this only one mount has been confirmed and thus only 5 spawns have been confirmed. I wonder if the crystals would spawn in the same locations or general vicinity of it... Just from the way it was found and everything, it might be possible that the spawn timer and the locations of them could be randomized. *squeals* YAAAAAY I know it's gonna take FOREVER but I can't wait to get my hands on this mount! I've wanted one ever since wandering through Feralas and Feathermoon for the first time! This will be impossible to get I'm guessing lol. But great job to all the people who worked on finding it. Super good job. Y'all are super cool. Is there any theme to it? The mount has the flavour text "You are the only one who remembered" but it doesn't seem to tie into the method of gaining it at all, at least that I could see. Just curious if there's text during the quest that links it. No. You find a crystal, then you have to find four more. On the fifth one you personally click the mount gets deposited into your bags and you get the message, "You hear a faint caw in the distance and then silence..."
I think Kosumoth was more clever. In game hints (pebbles that matched the broken isles map & orb locations), hidden caves.. These crystals, however, had nothing to do with anything really... No one would have even known crystals would somehow be involved if people didn't data-mine and discover that the hippogryph was summoned by exactly five crystal auras. So it was a hunch, a hunch that paid off. I really hope Blizzard adds more secrets but ones with stories and in-game clues so we don't have to turn to datamining. :/ Like gara... how would we have known where the items were except through blind luck? After the flurry of players trying and giving up on finding this I might give it a shot by then I will be 110 and able to destroy anything in my path. I think these hidden scavenger hunts are really cool! But in this case, whew, am I ever glad I don't feel the pressing need to acquire this mount x_x (I already have my Corrupted Hippogryph and none will ever top it). Working on the Kosumoth orbs has been difficult enough with the bottlenecks, and I still have flashbacks of the sanity deprivation of the Voidtalon portal camp. This is just...guh, sadistic almost. Still, pretty neat how the community worked together to figure all this stuff out, and with the Kosumoth method too. I'm just fascinated by these elaborate puzzles. My only hope is maybe just like voidtalon it'll be up around Tuesday maintenance every time. Then I can maybe camp for an hour or two on those days and hope for the best. I'm tempted to wait till we have flying. It will make it so much easier to gather the crystals. It will, especially since the crystals are extremely easy to see. But will also mean other people can find them quicker as well. Only thing is, is some can spawn in caves. Right now theres over 20 spawn points that we know of and I hear only 5 crystals up at a time... so pretty much you have to run all around the map to see if just one crystal is up. Honestly not impressed neither is alot of people. The orb one is cool, it helps you and though yes a 30 min timer which is annoying and thankfully they are hotfixing but its not as bad as this at least. A mount alot of people have loved for a long time and this is what they do to it.. make it near impossible to get unless your lucky..
After the mess with Kusomoth's crystals (I'm still stuck on orb nine because of spawn trolling campers) I'll probably wait until flying just to get around the headache. Wow I was wayyyy off in my beta thread. Silly me for thinking it was logically connected to something. 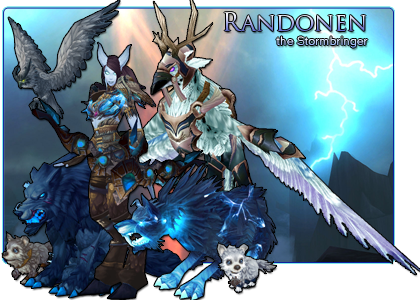 I like hidden stuff in the game but what does crystals have to do with a long forgotten hippogryph? I was really hoping for some flavor/history with this. The forgotten coast in Feralas was a *PERFECT* spot to include in the hunt, if for no other reason than flavor. *sigh* disappointed in this but c'est la vie! So we have to click 5 crystals in 8 hours without dying. I assume the crystals have an absurdly long respawn timer to (I guess it wouldn't be rare if they didn't). I can't wait for someone to click 4 and miss the 5th because it didn't spawn. I give them A+ for thinking outside the box here but good god. Also PvP servers? If one crystal spawns, then that means you can go find 5 and get the mount asap. So there's no way someone could find 4 but not a 5th because it isn't up yet, they aren't on individual spawn timers. But we still don't know if all 5 are up/visible at the same time. It could be that one spawns, but once clicked the 2nd spawns immediately, then the third and so on. Nope only 5 up and however gets the 5th crystal gets it. So you could be on the 4th one and someone gets the 5th before you then it restarts so you have to do it all over again when it respawns again which seems to be an extremely long respawn timer. If you die you are screwed and have to go back and get them all over again. If you DC you are also screwed and have to get them all over again. Its an evil evil evil thing to do to people.. I can forsee some people quitting because of it lol. I don't think you get what I'm saying. I know all that. What we don't know is exactly how the spawns work. There's very few confirmed mounts at this point. What I'm saying is, it's entirely possible that when the crystals spawn, ONE of the five crystals is immediately visible. You have to find it, then when clicked it spawns the second. Find and click the second and in turn it'll spawn the third. Then click the third and it spawns the fourth... Click the fourth and it'll finally spawn the fifth.